“Why should we join together on Sunday mornings in an old building? What is the point? Why do we need this? You saying I have to go to church is so legalistic and Jesus was all about breaking the rules, right? 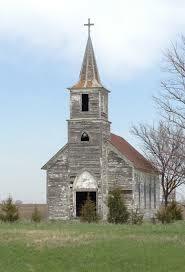 I am a Christian, but I don’t go to church, the “church” is people anyway, not a building. I can have church at home by myself.” I have been studying the topic of IDOL worship or Self-Worship and have come up with a few ideas to these questions. 1. We need to worship If you read my post, Self-Worship, this might sound familiar. We need to worship, why you might ask? Because we are caught in the cycle of mankind, the cycle that the Israelites found themselves in over, and over again. “Prone to wander Lord I feel it, Prone to leave the God I love.” says the old Irish Hymn. The incitement of Eve by the serpent is the same sin that befalls us everyday, that WE may have a better way to doing things than the great I AM. How absurd, how egotistical, yet it is true. Our actions and our words communicate loud and clear whom we worship. We need to worship for several reasons: a. We need to be put in our place. We need to be reminded that the world does not revolve around “me.” b. We need to fall into the shadow of the most high. It is in His shadow that the “things of earth grow strangely dim in the light of this glory and grace. ” It is easy to throw ourselves pity parties about everything! It is also common to have legitimate concerns, worries & fears. We need to worship to allow the Light of his Glory and Grace to saturate our mind, our perspective and our heart. c. Out spirit longs for union with God the spirit. This is the long lost union that Adam and Eve experienced, this is the union Christ Paid for, that our Spirit may be “one with God, just as the Father and I are one” (John 17:21) d. Our mind needs to be renewed, flushed, cleansed, elevated. Our mind is a battlefield, where the enemy loves to reside. Worship in spirit and truth (we need the TRUTH of the word to renew our minds) is a shower for our mind. e. We need hope. Worship reminds us of God’s faithfulness not only to us but to our ancestors and heroes of our faith. It reminds us of God’s omnipresence and his omnipotence. It reminds us that His Grace is Sufficient. 2. We need Edification and Growth a. Teaching, preaching, prayer, words of encouragement…we need all of these to stimulate growth to cause us to be unsatisfied with our current state of being, to spur us on to Holy Living. b. If we are not growing the only other option is we are decaying. What do you choose, I set before you Life and Dealth choose Life! (Duet 30:19) c. We need our hearts stirred. “If it is stagnant it stinks!” (Karen-girlfriend) Complacency is a sneaky way for the enemy to start seeping into your life. Growth, movement, life are essential in our daily walk. 3. We need to give tithes and offerings a. Tithing is an outpouring of our love for our creator who gives us everything we need. If we are not tithing this is what we are saying to God. 3. We need to give.